Draft: 1996, Los Angeles Dodgers, 23rd rd. October 30, 2013 LHP Ted Lilly assigned to Navegantes del Magallanes. August 2, 2013 Los Angeles Dodgers released LHP Ted Lilly. July 25, 2013 Los Angeles Dodgers designated LHP Ted Lilly for assignment. July 24, 2013 Los Angeles Dodgers activated LHP Ted Lilly from the 15-day disabled list. June 30, 2013 Los Angeles Dodgers sent LHP Ted Lilly on a rehab assignment to Rancho Cucamonga Quakes. June 9, 2013 Los Angeles Dodgers placed LHP Ted Lilly on the 15-day disabled list retroactive to June 5, 2013. Neck sprain. May 20, 2013 Los Angeles Dodgers activated LHP Ted Lilly from the 15-day disabled list. May 15, 2013 Los Angeles Dodgers sent LHP Ted Lilly on a rehab assignment to Rancho Cucamonga Quakes. May 3, 2013 Los Angeles Dodgers placed LHP Ted Lilly on the 15-day disabled list retroactive to April 30, 2013. Right rib cage strain. April 24, 2013 Los Angeles Dodgers activated LHP Ted Lilly from the 15-day disabled list. April 16, 2013 Albuquerque Isotopes sent LHP Ted Lilly on a rehab assignment to Rancho Cucamonga Quakes. April 9, 2013 Ted Lilly assigned to Albuquerque Isotopes from Rancho Cucamonga Quakes. 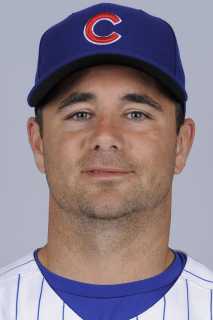 April 5, 2013 Ted Lilly assigned to Rancho Cucamonga Quakes from Los Angeles Dodgers. March 31, 2013 Los Angeles Dodgers placed LHP Ted Lilly on the 15-day disabled list retroactive to March 28, 2013. Recovering from September 2012 left shoulder surgery. October 29, 2012 Los Angeles Dodgers activated LHP Ted Lilly from the 60-day disabled list. August 14, 2012 sent LHP Ted Lilly on a rehab assignment to Rancho Cucamonga Quakes. July 29, 2012 sent LHP Ted Lilly on a rehab assignment to Rancho Cucamonga Quakes. July 2, 2012 Los Angeles Dodgers transferred LHP Ted Lilly from the 15-day disabled list to the 60-day disabled list. May 28, 2012 Los Angeles Dodgers placed LHP Ted Lilly on the 15-day disabled list retroactive to May 24, 2012. Left shoulder inflammation. 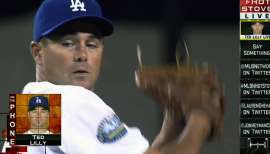 April 14, 2012 Los Angeles Dodgers activated LHP Ted Lilly from the 15-day disabled list. April 8, 2012 sent LHP Ted Lilly on a rehab assignment to Rancho Cucamonga Quakes. April 4, 2012 Los Angeles Dodgers placed LHP Ted Lilly on the 15-day disabled list retroactive to March 26, 2012. Neck stiffness. July 31, 2010 Chicago Cubs Traded LHP Ted Lilly and 2B Ryan Theriot to Los Angeles Dodgers; Los Angeles Dodgers Traded Blake DeWitt to Chicago Cubs; Chattanooga Lookouts Traded RHP Kyle Smit to Tennessee Smokies and Great Lakes Loons Traded RHP Brett Wallach to Peoria Chiefs. April 24, 2010 Ted Lilly roster status changed by Chicago Cubs. April 19, 2010 sent LHP Ted Lilly on a rehab assignment to Peoria Chiefs. April 14, 2010 sent LHP Ted Lilly on a rehab assignment to Iowa Cubs. April 4, 2010 Chicago Cubs placed LHP Ted Lilly on the 15-day disabled list retroactive to March 26, 2010. Recovering from November 2009 left shoulder surgery. August 17, 2009 Chicago Cubs activated LHP Ted Lilly from the 15-day disabled list. August 12, 2009 sent LHP Ted Lilly on a rehab assignment to Peoria Chiefs. July 25, 2009 Chicago Cubs placed LHP Ted Lilly on the 15-day disabled list retroactive to July 21, 2009. Left shoulder inflammation.